The 17th Osaka Business Networking Club will be held on Set.15! Once a capital city and gateway to international exchange, Osaka became a prosperous center of commerce and finance in modern times and played a major role in the industrial and economic development of Japan.  Come and capitalize on the potential Osaka offers in expanding your business's horizons. 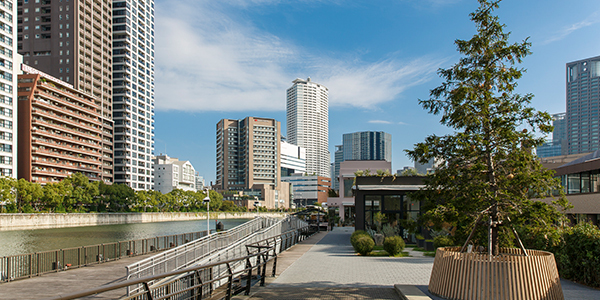 Located in the heart of the world-class Metropolis Kansai area, Osaka has several unique business hubs, such as Shin-Osaka, Umeda, Nakanoshima, and Namba. Some areas in the city have been designated as Special Urban Renaissance Districts, under which urban development is being implemented to incorporate more attractive urban functionalities. Nakanoshima Island has been a time-honored center of economy, culture, and administration in Osaka. Still at present, the central functions of companies are gathered here. 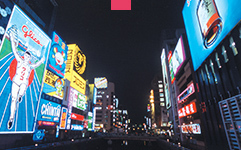 It also plays a role as information dissemination center for Osaka's art and culture scenes. Nakanoshima is a symbolic island of "Aqua Metropolis" Osaka, floating between the Dojima and Tosabori Rivers. A highly demanded business district in a prime location, with the transportation advantage of an arrival and departure station for the shinkansen (bullet train). 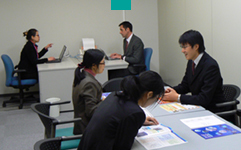 Shin-Osaka is a convienent business location where travels to all over the country is possible. 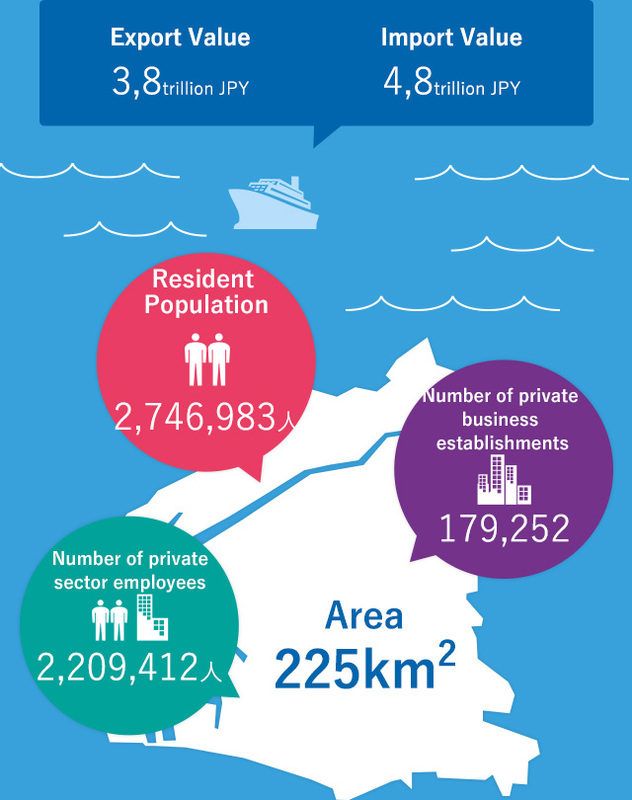 It is also directly linked to major business areas and downtown areas in Osaka by subway, JR and etc. The Cosmosquare Area is a part of Sakishima – an artificial island developed in the 1970's – and offers a well-organized infrastructure and convenient access with a location just 20 minutes by car or train from Osaka’s city center and 40 minutes by car from Kansai International Airport, Kansai’s ‘gateway’ from overseas. Looking to create a base for business and R&D, this area has been constantly developing. 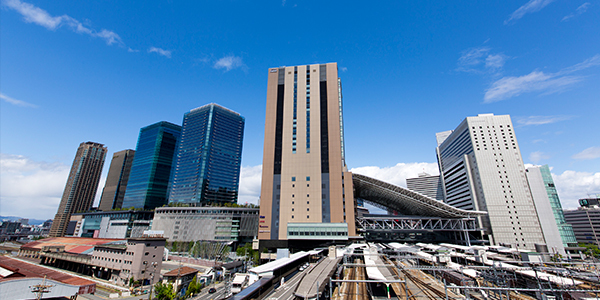 Known as 'Kita', the Osaka Station District serves as the City’s northern gateway and is used by 2.5 million people daily making it the largest terminal in West Japan. This dynamic District is home to numerous commercial facilities including three major department stores and continues to promote the latest trends in entertainment and fashion. This area, also known as 'Minami' (meaning "south" in Japanese), is a representative commercial area in Osaka. Since the area is linked to Kansai International Airport by direct train services, its popularity has been surging among tourists, mainly from overseas. 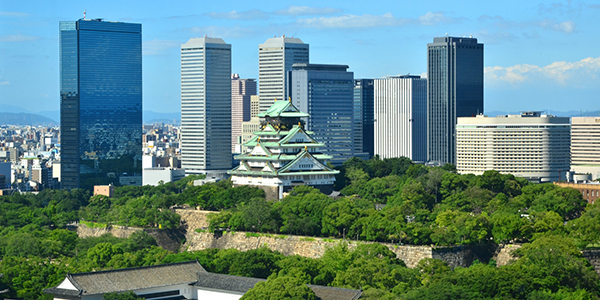 O B P, adjacent to the symbol of Osaka; Osaka Castle Park is surrounded by a harmonious balance of rich natural greenery and water, office buildings, accomodation facilities, cultural facitilies and commerical buildings, coexisting to create a nature based business environment. Within the Kyobashi area, where OBP is located, there are 6 stations operated by JR, Keihan Railways, and the Osaka Municipal Transportation Bureau that serve an average of 500,000 passengers each day. Accessed by over 730,000 people daily, Abeno/Tennoji is a prime access location, with direct lines from Nara and Wakamaya to central Osaka. Surrounded by rich history, culture and nature with popular places to visit within such as the traditional boasting Shitennoji Temple, the lush Tennjoji Park, Osaka Zoo, Tsutenkaku Tower, and Osaka Municipal Museum, holding numerous important cultural assests; Abeno/Tennoji is a refreshing twist to what a business area should be. Hommachi has been long known as the center of business and is still a highly popular business area with its history and beautiful scenery of colonnade of Ginkgo trees, which line Midosuji Avenue. South of Hommachi lies Shinsaibashi, a district well-known as a major shopping area, centered on well-established department stores and it's famous 'Shinsaibashi-suji Shopping Street' stretching down all through the center of Shinsaibashi. Along Midosuji Avenue, you will find world-famous brand-name stores that have made this Avenue one of Japan’s most distinguished ‘brand’ streets. such as Shin-Osaka, Umeda, Nakanoshima, and Namba. to incorporate more attractive urban functionalities. 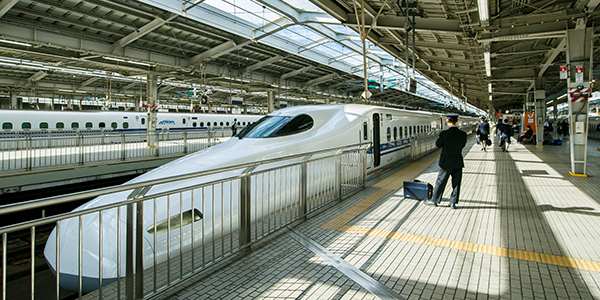 A highly demanded business district in a prime location, with the transportation advantage of an arrival and departure station for the shinkansen (bullet train). 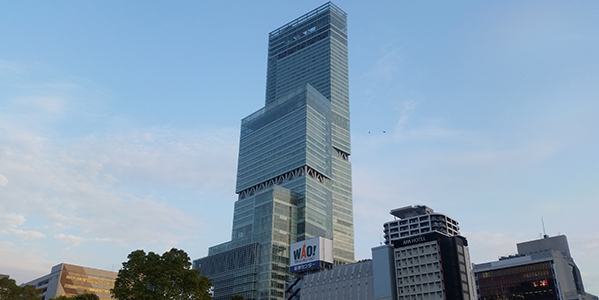 Shin-Osaka is a convienent business location where travels to all over the country is possible as it is directly linked to major office areas and downtown areas by subway, JR and etc. O B P, adjacent to the symbol of Osaka; Osaka Castle Park is surrounded by a harmonious balance of rich natural greenery and water, office buildings, accomodation facilities, cultural facitilies and commerical buildings, coexisting to create a nature based business environment. O B P is convienently located in the Kyobashi area, with the JR, Keihan and Osaka Municipial transportation Bureau stationed in 6 transportation lines, with over 500,000 passengers accessing this area in a day. hommachi has been long known as the center of business and is still a highly popular business district with its history and beautiful scenery of midosuji ginkgo trees lined beautifuly. South of hommachi lies Shinsaibashi, a district well-known as a major shopping area, centered on well-established department stores and it's famous 'Shinsaibashi shopping street' stretching down all through the center of Shinsaibashi, well known for its diversication in famous Japanese brands. This district, also known as 'Minami' (meaning "south" in Japanese), is a representative commercial area in Osaka. Since the area is linked to Kansai International Airport by direct train services, its popularity has been surging among tourists, mainly from overseas. 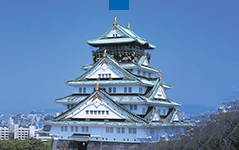 INVEST OSAKA is a website for enterpises and universities that are considering business development and investment in Osaka City. This website offers various, useful information on the business environment of Osaka City and introduce battractive usiness areas and on-going development projects. Since INVEST OSAKA team is ready to offer investment support, please feel free to contact us any time.